How to build a Raspberry Pi Retro Console? Home Home Media How to build a Raspberry Pi Retro Console? The Raspberry Pi might be small, but it's a very versatile computer. You can use it to build a Raspberry Pi music player or make your own Raspberry Pi Steam Box. Today, I'll be showing you how to build a Raspberry Pi Retro Console using a Raspberry Pi and RetroPie. RetroPie is a Raspberry Pi program that allows you to have multiple game emulators on Raspberry Pi. In addition to game emulators, RetroPie also has Kodi built into it. This means your Raspberry Pi game emulator can go straight into Kodi from RetroPie's menu, so it's a great HTPC option for those who want gaming to be part of their media center. First you need to have all the required items to set up your Raspberry Pi Retro Console. I've listed everything you'll need below. I recommend using the more powerful Raspberry Pi 3 because it will have the best performance. First we have to put RetroPie on an SD card for our Raspberry Pi game emulator. 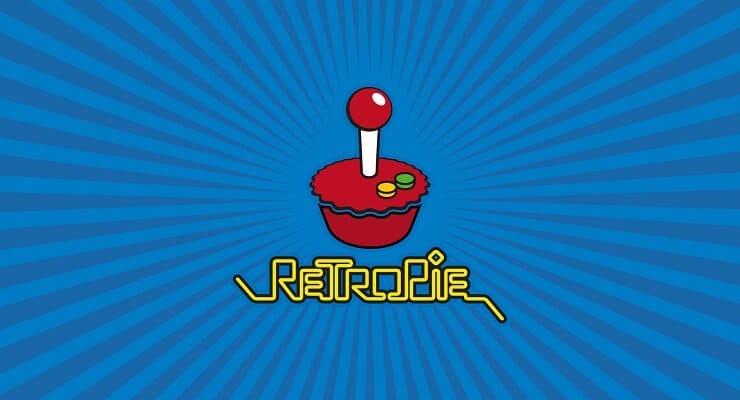 Go to the RetroPie download page and download the image for your version of the Raspberry Pi. Now simply extract the image file and write it to the SD card. In this tutorial, I'm using Win32DiskImager to write the image, but any image writer should work. Next, we'll boot up the Raspberry Pi Retro Console and start setting it up. RetroPie should now be fully set up, so all you have to do to play a videogame is select it in the menu. Before you start using all those emulators on Raspberry Pi, lets make a few improvements. First, we should use Emulation Station's built in scraper to add game data and art to our Raspberry Pi Retro Console. The scraper is similiar to Kodi's various media scrapers, using a online database to grab data. 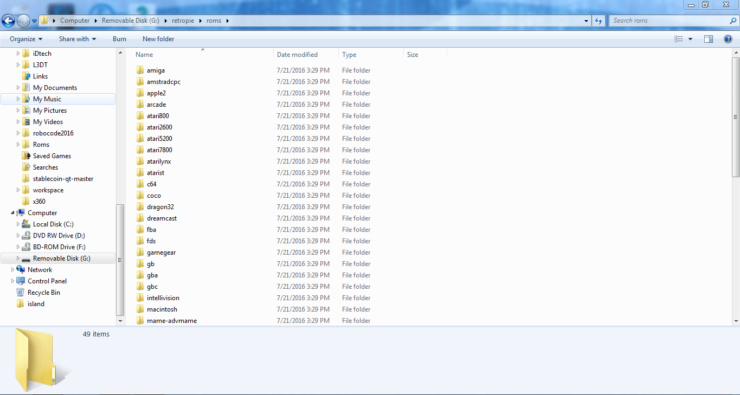 To use Emulation Station's scraper, go into the start menu, select Scraper, and then select Scrape Now. 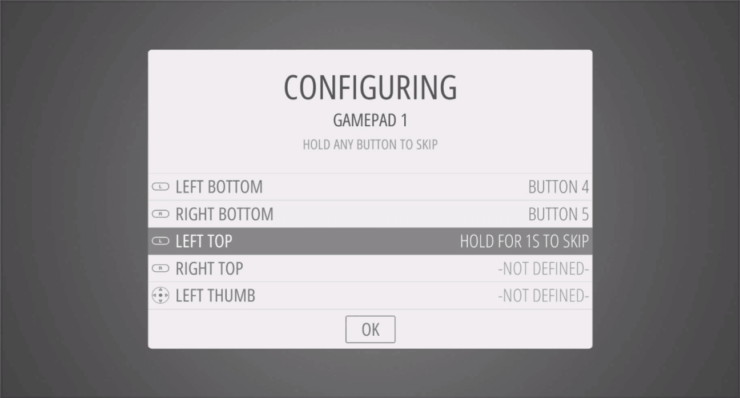 The default setting are fine for the first run, so go ahead and press Start. 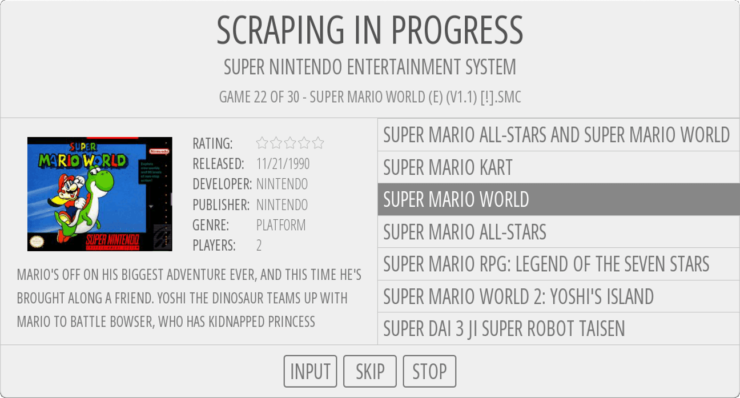 If the scraper can't find anything for some game (usually because it's not actually a videogame), press Skip to skip it and start scraping the next game. Now that RetroPie is fully setup, all that's left to do is get some roms and start playing. Below are some helpful shortcuts that can be used while playing games on your Raspberry Pi Retro Console. It's important to note that these shortcuts only work with retroarch and libretro based emulators on Raspberry Pi. In addition to Kodi, there other ports that can be installed on RetroPie, and some are already installed. There's a lot that RetroPie has to offer, so don't be afraid to explore all its features and options. Akash is currently a college student studying Computer Science. He has taught himself Java,C++, and Python. He loves to play video games,especially CS:GO and has a Shi-tzu named Cookie, who is in his profile picture.